Baton Rouge, La. 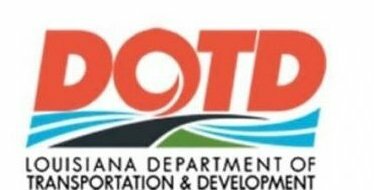 – The Louisiana Department of Transportation and Development (DOTD) announced today that both eastbound lanes of I-10 between Highland Road and LA 73 will close completely on Friday night, April 5. The closure is necessary for crews to remove and transport the small airplane that made an emergency landing along the interstate on Wednesday morning. The closure is scheduled to begin at midnight on Friday night/Saturday morning and is expected to last until approximately 4 a.m., but times may vary due to weather and/or logistics. The westbound lanes of I-10 will remain open during this time. After the plane is loaded and secured, it will be transported on I-10 eastbound to LA 73, and ultimately to the DOTD maintenance yard at LA 73/LA 621. Motorists may detour the closed eastbound lanes by exiting at Highland Road, traveling north to Airline Highway, east to LA 73, and then south on LA 73 to reconnect with I-10. DOTD will monitor the traffic along the detour route and make any necessary changes to the traffic signals to keep motorists moving as quickly as possible. Message boards will also be placed along the detour route to help direct motorists.